The TV is small, just like everything in your apartment. Onscreen, there’s a woman sitting behind a desk. Her dark hair hangs straight down the sides of her cheeks, and her pale face looks like a full moon, suspended in the darkness. Loosely based on the myth of Orpheus and Eurydice, Liner Notes is, at its heart, an ode to all the punk music that got me through being a lonely teenager. It’s about being young, being torn away from your best friend, and about how we deal with the pain of loneliness. 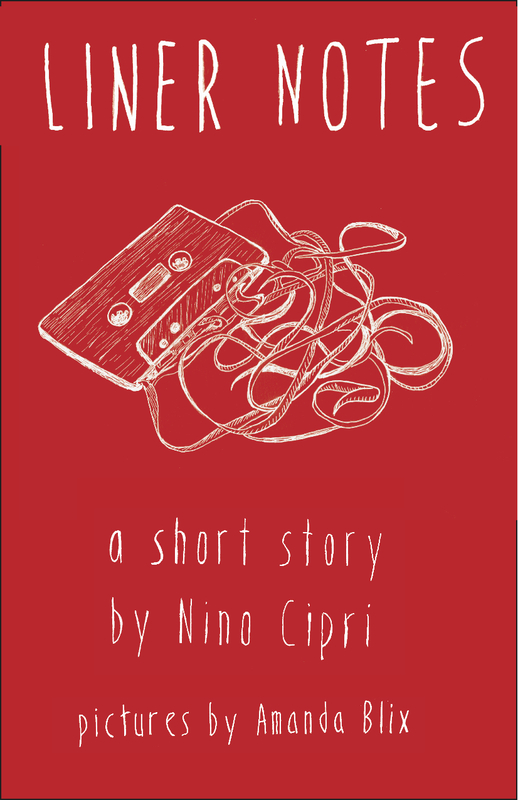 This chapbook was designed and illustrated by Amanda Blix. 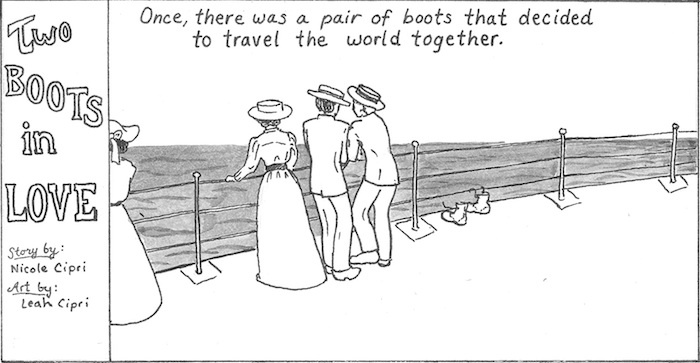 Two boots travel the world together. A collaboration with my sister, Leah Cipri. This poster is printed on two pieces of 11″ x 17″ cardstock.